Last weekend, The New York Times published a long piece about the effect the FBI had on the outcome of the 2016 presidential campaign. As we all know, Donald Trump won a comfortable victory in the Electoral College while falling about 3 million votes behind Hillary Clinton in the popular vote. I believe that Clinton was a deeply flawed candidate who failed to energize the Democratic Party base and who failed to deliver to the electorate a principled reason to vote for her. Yet when the Times reporters asked her why she believes she lost the race, she gave several answers, the first of which was the involvement of the FBI. She may be right. 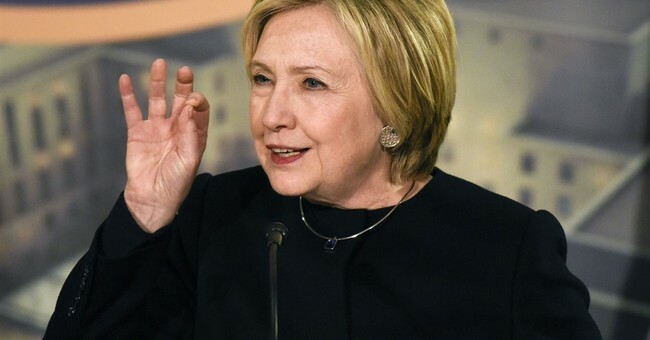 In 2015, a committee of the House of Representatives that was investigating the deaths of four Americans at the U.S. Consulate in Benghazi, Libya, learned that the State Department had no copies of any emails sent or received by Clinton during her four years as secretary of state. When committee investigators pursued this -- at the same time that attorneys involved with civil lawsuits brought against the State Department seeking the Clinton emails were pursuing it -- it was revealed that Clinton had used her own home servers for her emails and bypassed the State Department servers. It directed the FBI to investigate the facts in the referral and to refer to the investigation as a "matter," not as a criminal investigation. The FBI cringed a bit, but Director James Comey followed orders and used the word "matter." This led to some agents mockingly referring to him as the director of the Federal Bureau of Matters. It would not be the last time agents mocked or derided him in the Clinton investigation. He should not have referred to it by any name, because under DOJ and FBI regulations, the existence of an FBI investigation should not be revealed publicly unless and until it results in some public courtroom activity, such as the release of an indictment. These rules and procedures have been in place for generations to protect those never charged. Because of the role that the FBI has played in our law enforcement history -- articulated in books and movies and manifested in our culture -- many folks assume that if a person is being investigated by the FBI, she must have done something wrong. When Comey denied his agents the permission they sought, some of them attempted to obtain the records from the intelligence community. Because Clinton's medical records had been digitally recorded by her physicians and because the FBI agents knew that the National Security Agency has digital copies of all keystrokes on all computers used in the U.S. since 2005, they sought Clinton's records from their NSA colleagues. Lying to the FBI is a felony, and these agents believed they had just witnessed a series of lies. When Comey learned what his creative agents were up to, he jumped the gun by holding a news conference on July 5, 2016, during which he announced that the FBI was recommending to the DOJ that it not seek Clinton's indictment because "no reasonable prosecutor" would take the case. He then did the unthinkable. He outlined all of the damning evidence of guilt that the FBI had amassed against her. This double-edged sword -- we won't charge her, but we have much evidence of her guilt -- was unprecedented and unheard of in the midst of a presidential election campaign. Both Republicans and Democrats found some joy in Comey's words. Yet his many agents who believed that Clinton was guilty of both espionage and lying were furious -- furious that Comey had revealed so much, furious that he had demeaned their work, furious that he had stopped an investigation before it was completed. While all this was going on, former Rep. Anthony Weiner, the estranged husband of Clinton's closest aide, Huma Abedin, was being investigated for using a computer to send sexually explicit materials to a minor. When the FBI asked for his computer -- he had shared it with his wife -- he surrendered it. When FBI agents examined the Weiner/Abedin laptop, they found about 650,000 stored emails, many from Clinton to Abedin, that they thought they had not seen before. Rather than silently examine the laptop, Comey again violated DOJ and FBI regulations by announcing publicly the discovery of the laptop and revealing that his team suspected that it contained hundreds of thousands of Clinton emails; and he announced the reopening of the Clinton investigation. This announcement was made two weeks before Election Day and was greeted by the Trump campaign with great glee. A week later, Comey announced that the laptop was fruitless, and the investigation was closed, again. At about the same time that the House Benghazi Committee sent its criminal referral to the DOJ, American and British intelligence became interested in a potential connection between the Trump presidential campaign and intelligence agents of the Russian government. This interest resulted in the now infamous year-plus-long electronic surveillance of Trump and many of his associates and colleagues. This also produced a criminal referral from the intelligence community to the DOJ, which sent it to the FBI. Yet this referral and the existence of this investigation was kept -- quite properly -- from the press and the public. When Comey was asked about it, he -- quite properly -- declined to answer. When he was asked under oath whether he knew of any surveillance of Trump before Trump became president, Comey denied that he knew of it.